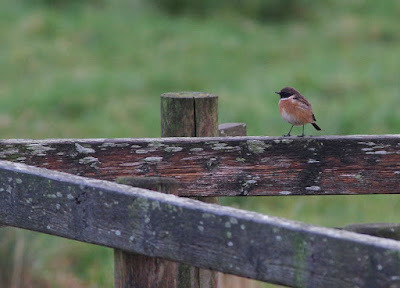 Since Linda and Sue (co-organisers of tomorrow's music quiz!) 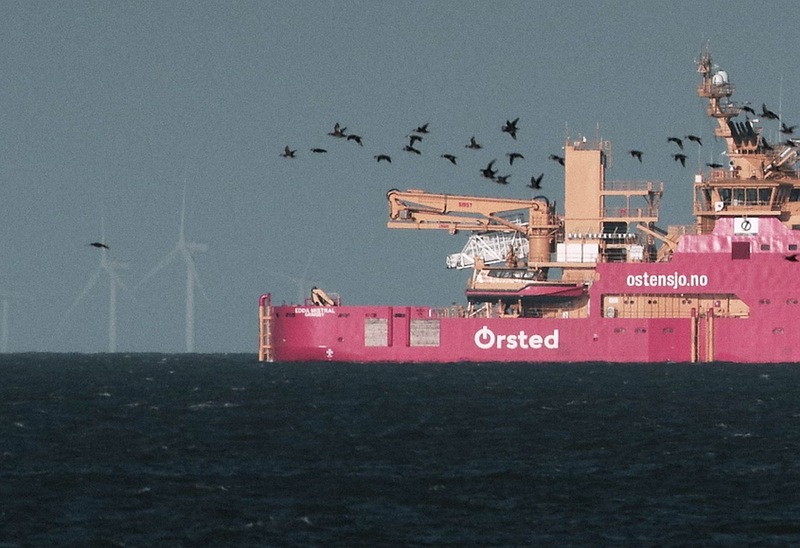 had planned a visit to two cash and carries to buy the food and disposables I was able to dash up to Blakeney to see if I could find a Lapland Bunting. 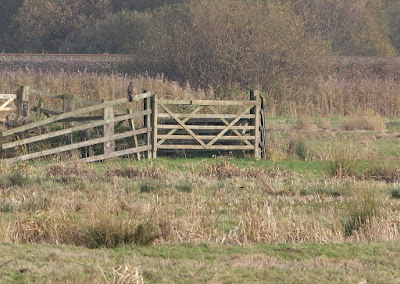 It was a crisp, clear morning and I arrived before too many dogs were on the scene: I thoroughly enjoyed both the walk out to the usual five-bar gate and an entertaining chat with a delightful couple from Kent that I met along the bank. 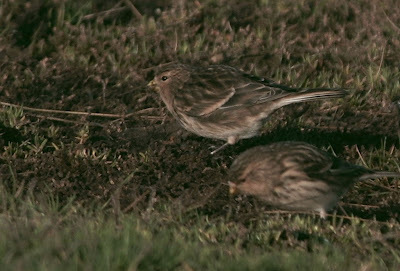 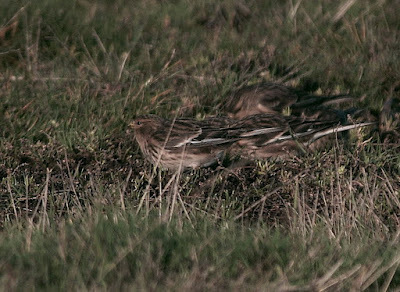 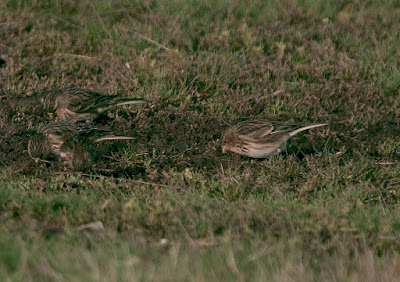 We watched a mixed flock of Linnets and Twite some distance out on the saltings and, I'm almost certain, heard a Lapland Bunting. 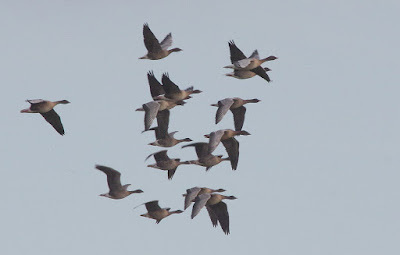 I decided to relocate to the gate area, where a solitary photographer was stationed: this turned out to be Steve Gantlett, who is always a charming and fascinating guy to talk with. 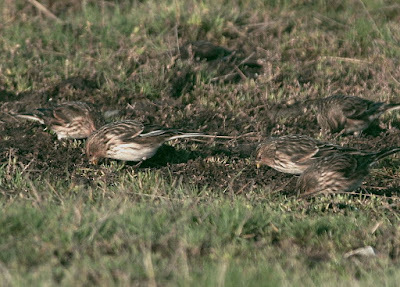 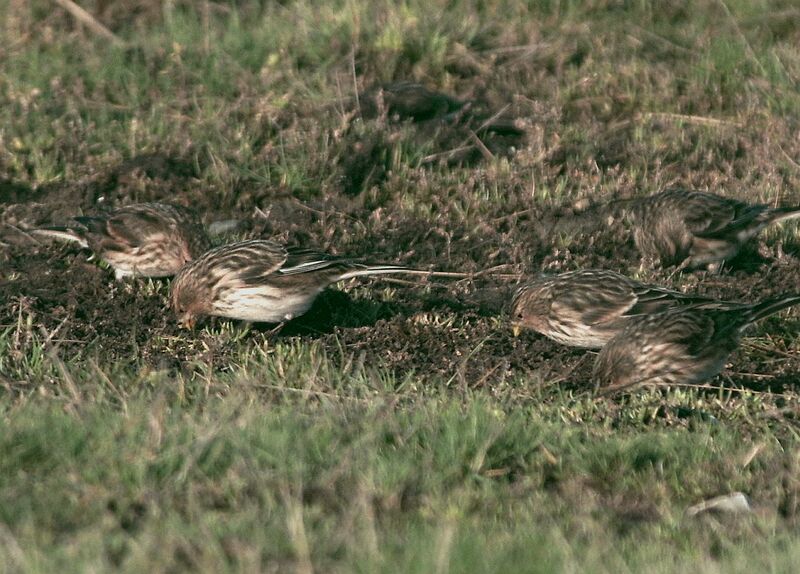 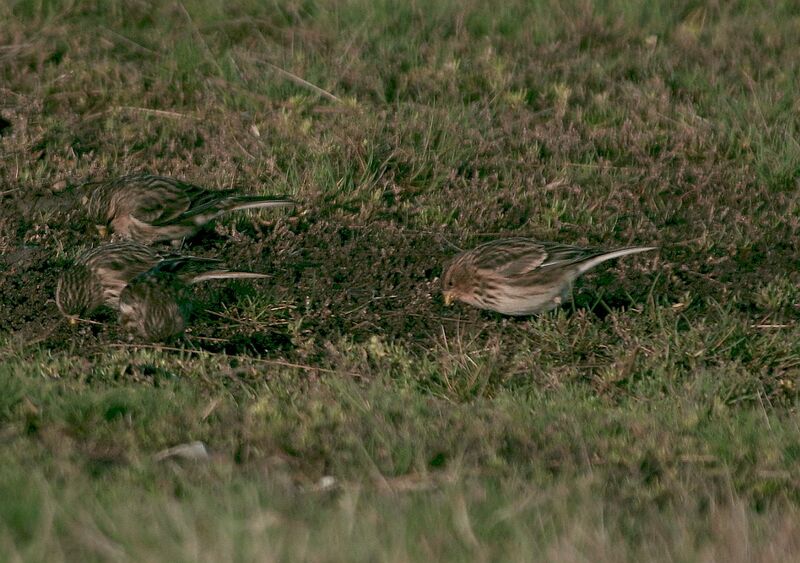 We reminisced about the old days at Nancy's and the excellent cheese on toast and bread pudding that were staples for so many birders in the 70s and 80s... After a minute or two the Twite flock dropped in to drink: I didn't notice until too late that my camera settings were less than optimal, but you can get the drift!! 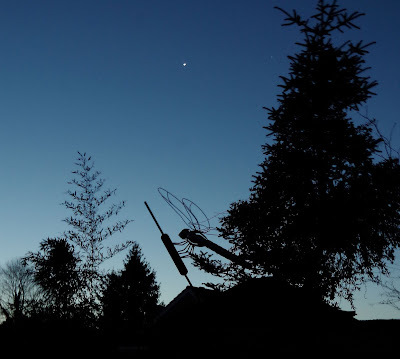 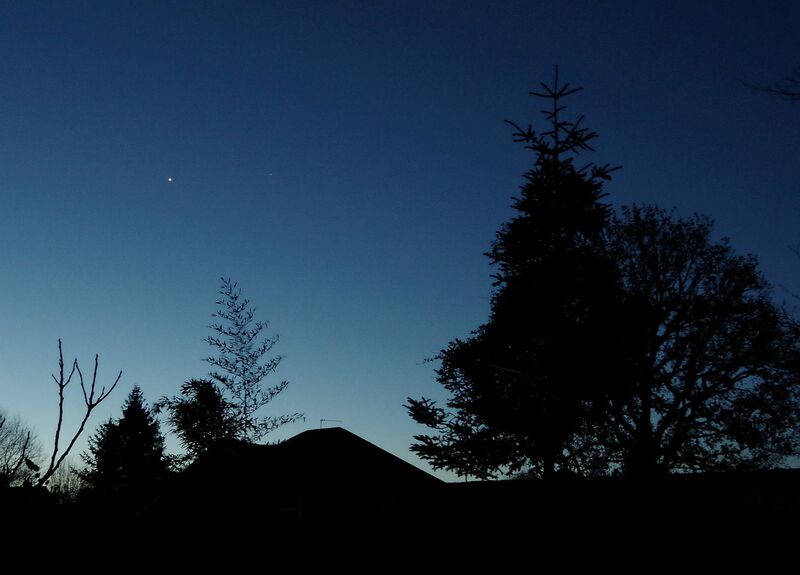 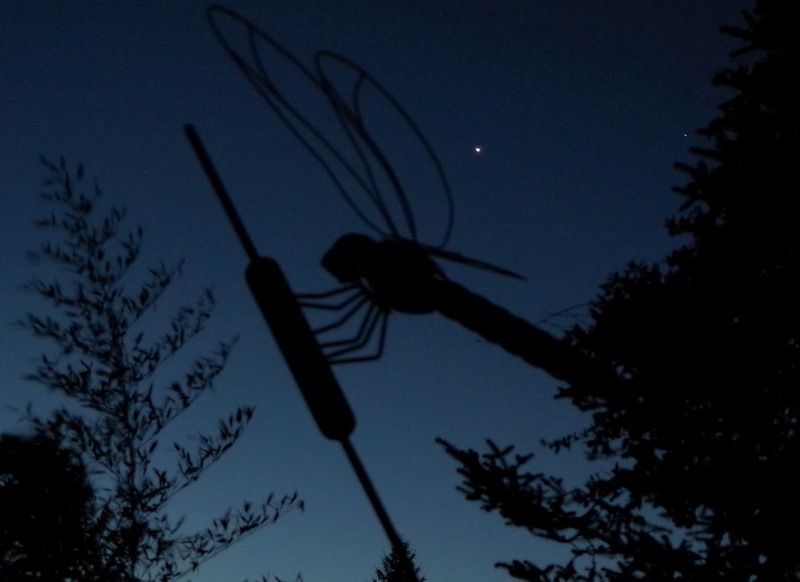 Just before dawn this morning the planet Venus was hovering over the south-eastern horizon, quite close to Spica, the leading star of the constellation Virgo - how apropos! Venus is the twin planet of our Earth in terms of size, but is much closer to the Sun and has a dense, toxic atmosphere of carbon dioxide and sulphuric acid that prevents surface features being observed. 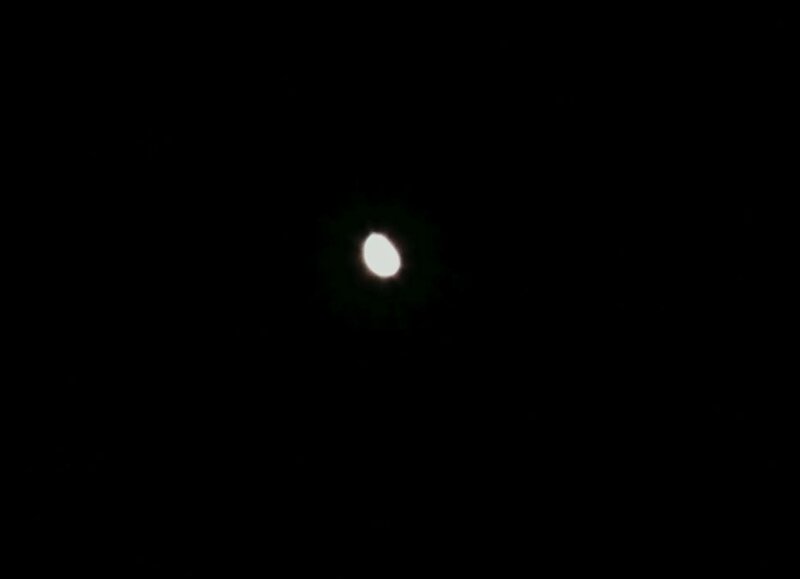 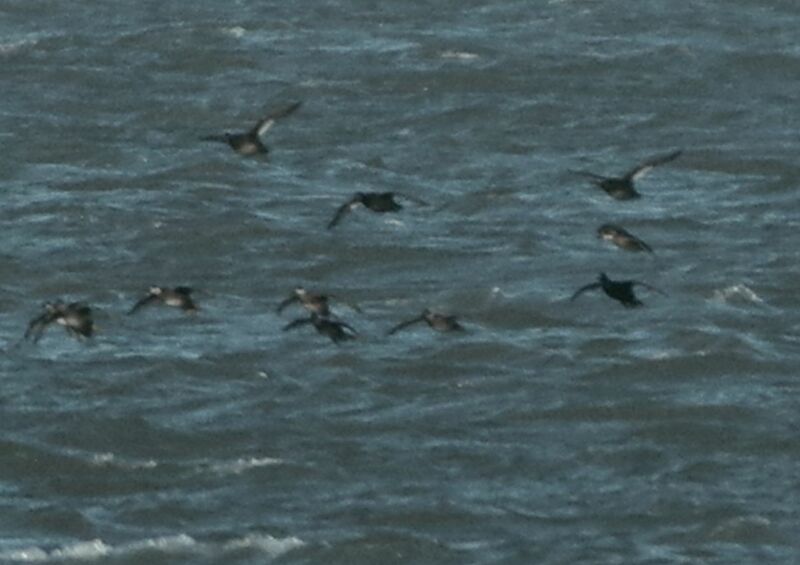 It's sufficiently close that even a small pair of binoculars will show its phase: like a tiny waxing Moon! 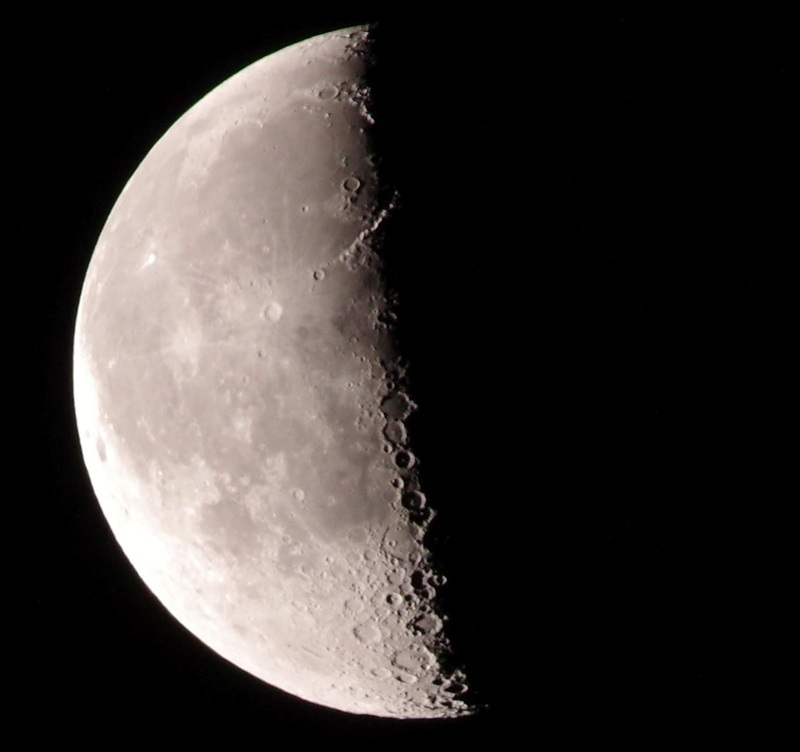 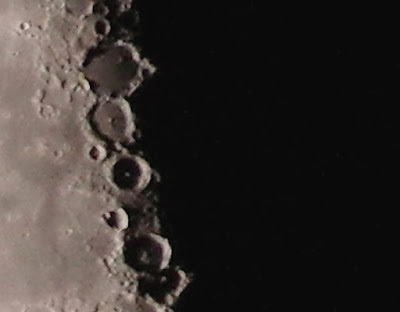 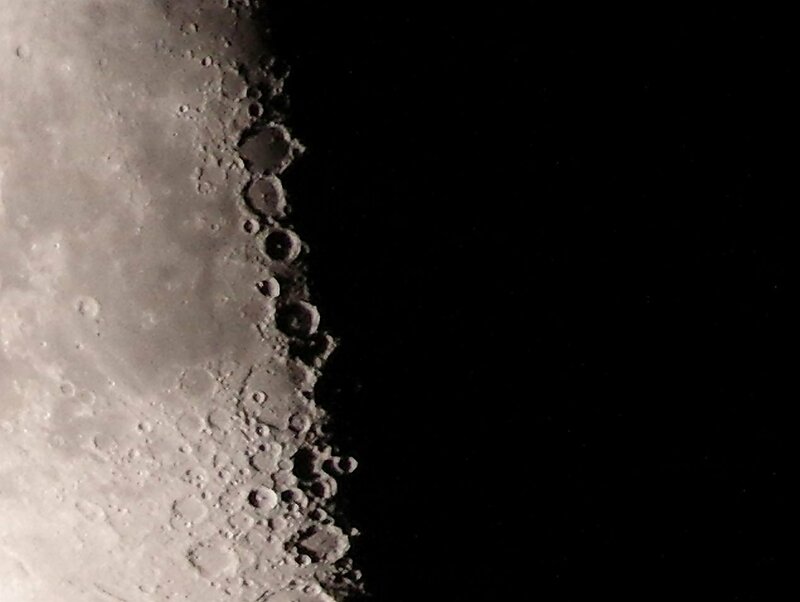 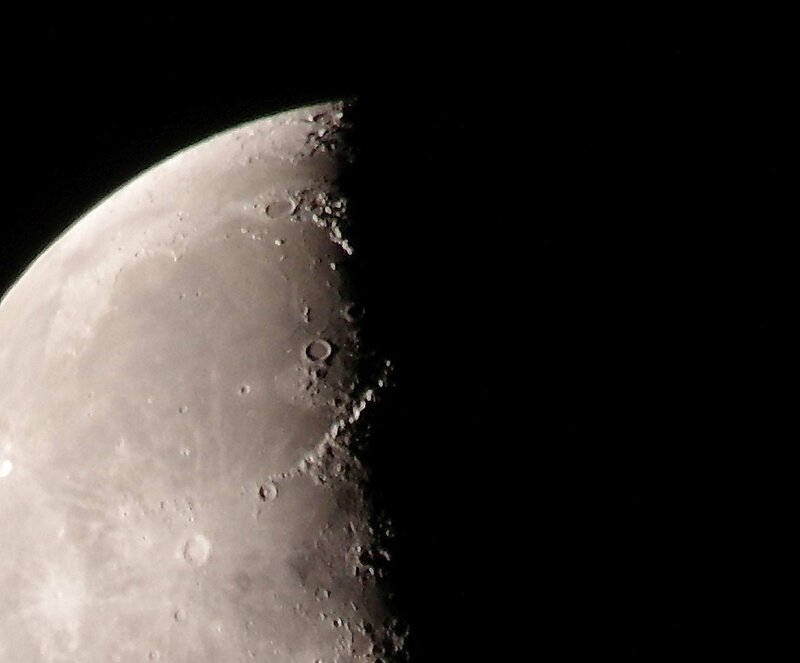 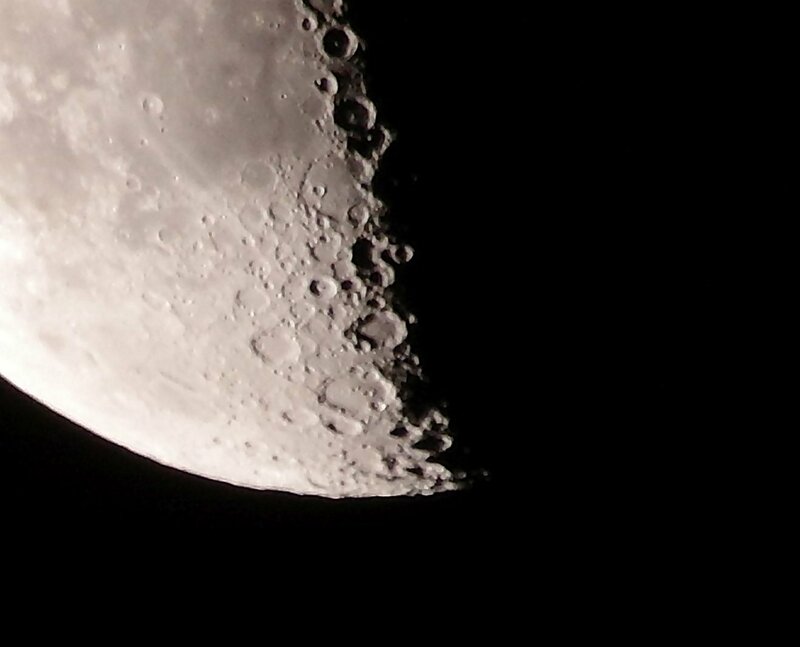 Talking of which, the last quarter waning Moon was also nearby: with the terminator running through the richest crater fields, it was a splendid sight! 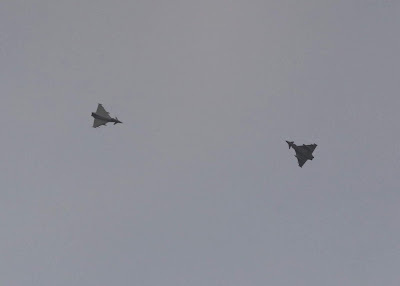 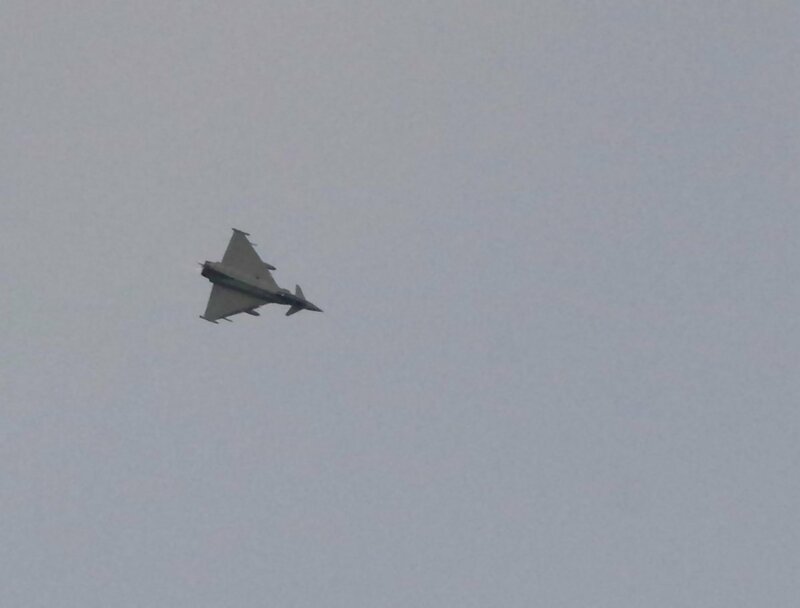 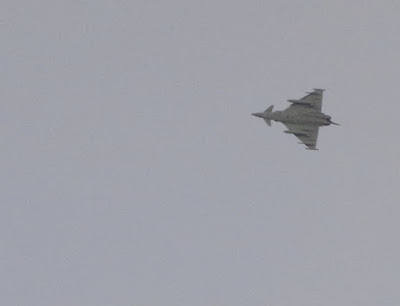 Typhoons over the Heath: keeping the skies safe for democracy! I do love the sound of fast jets, and there aren't many these days that make the thrilling sounds that come from the tail-pipe of a Typhoon on reheat! These guys were attempting to 'wax each other's tails' at high speed: the G-forces must have been immense during some of their tight turns and barrel rolls. 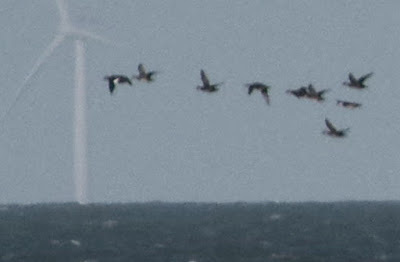 I know they each produce about the same CO2 as a small town, but then, a small town isn't going to chase away the Tupolevs when necessary! 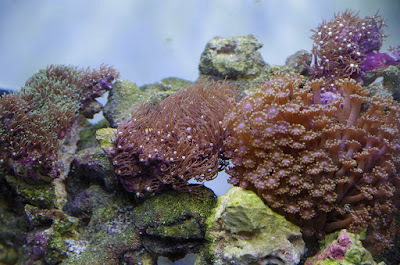 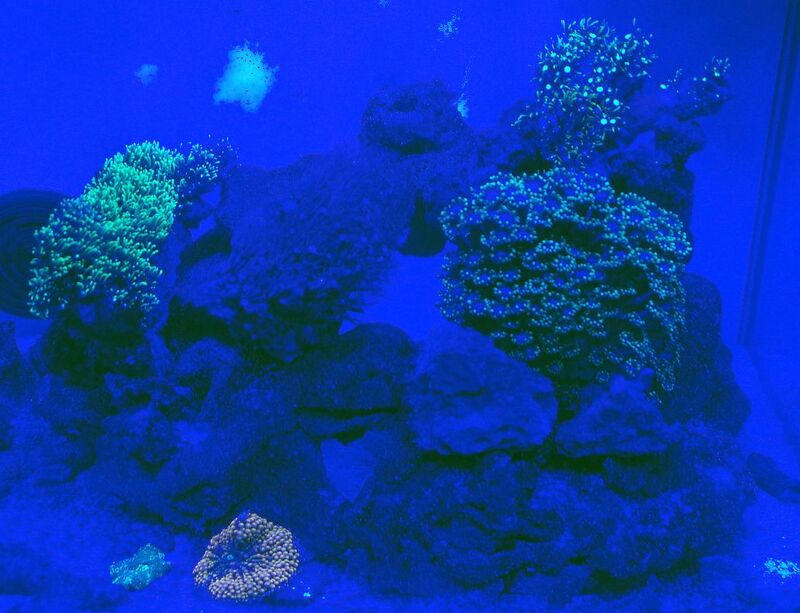 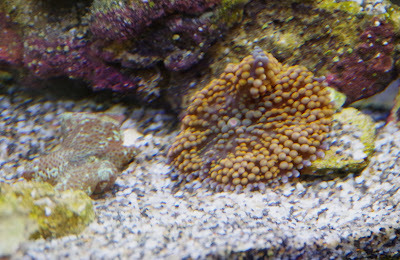 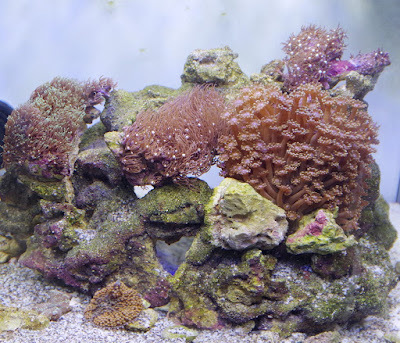 Since the tank parameters seem to be holding steady, we decided to add a few more corals to the reef! 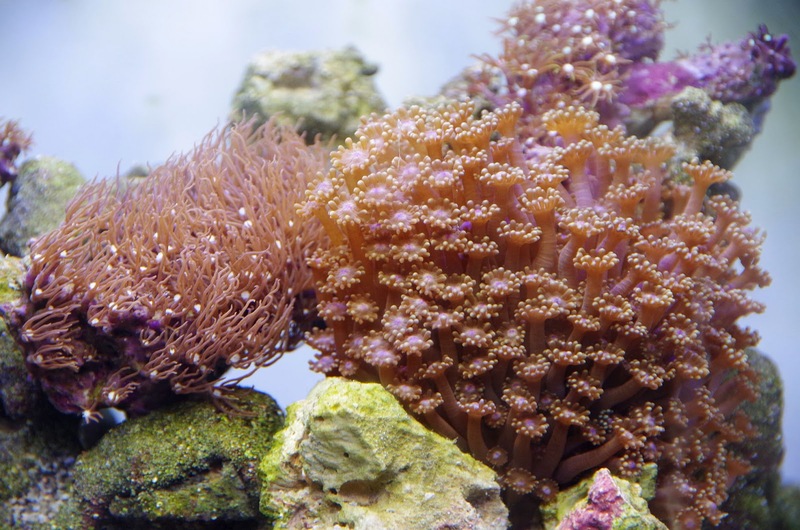 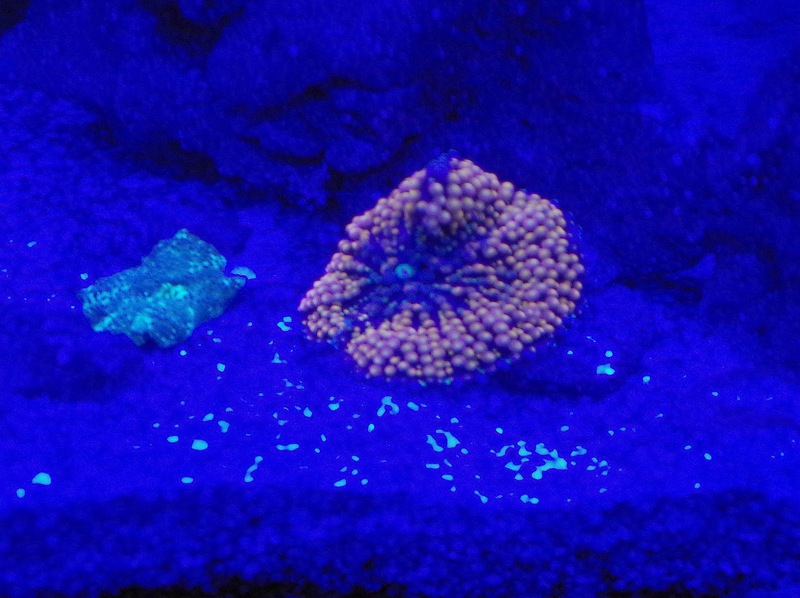 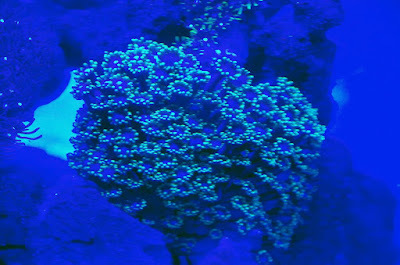 Notice how beautifully most soft corals fluoresce under actinic light. 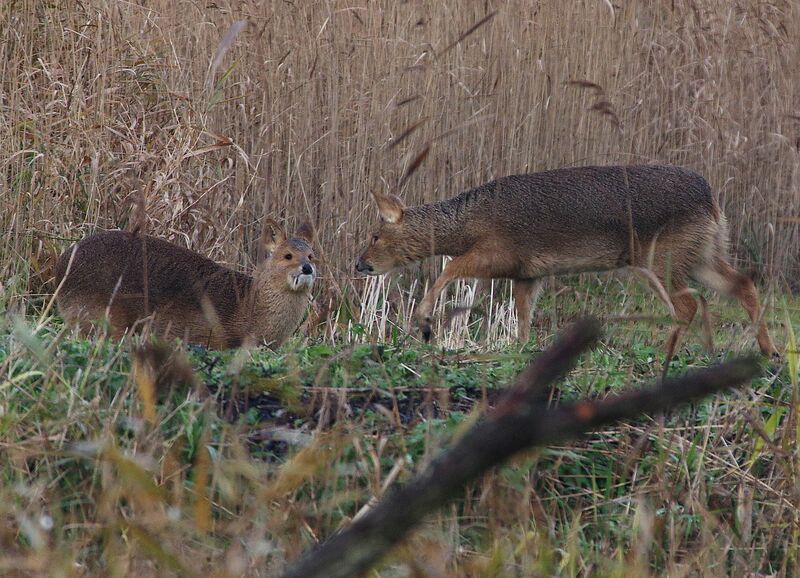 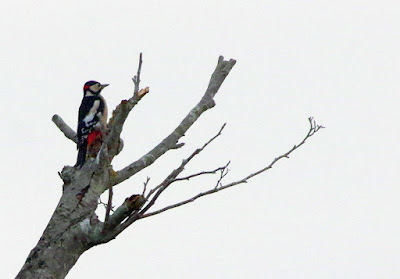 Bean Geese and Stonechats at Strumpshaw and Buckenham..
As usual on his 'Ranger Day', I met Brian and Norman at the Fen at around 8.00am and passed a pleasant hour or so in Fen Hide. 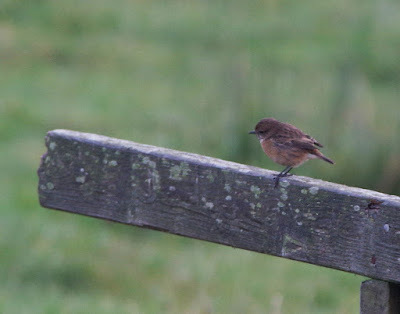 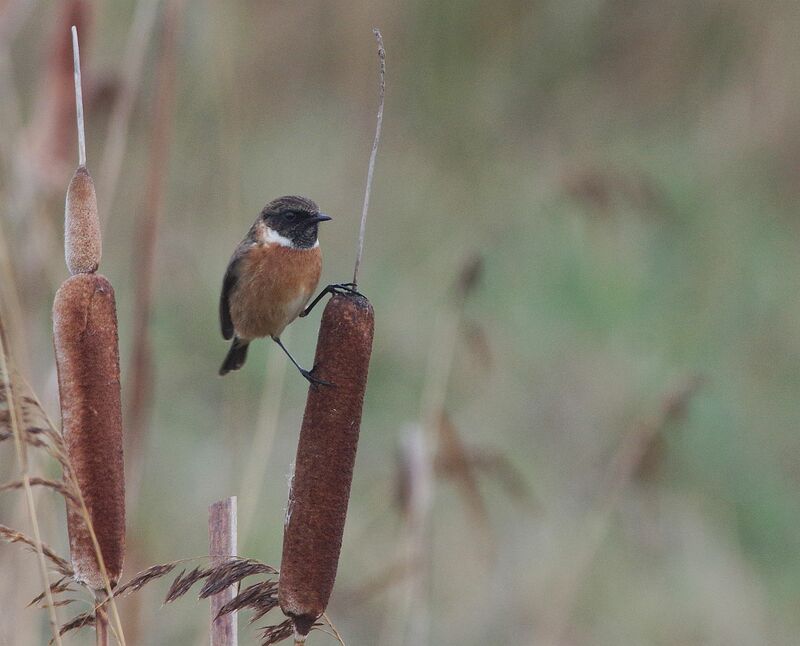 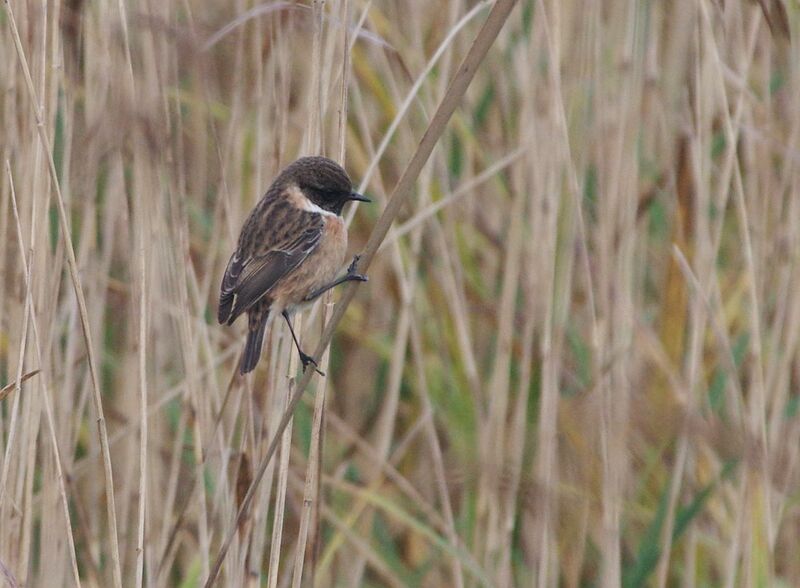 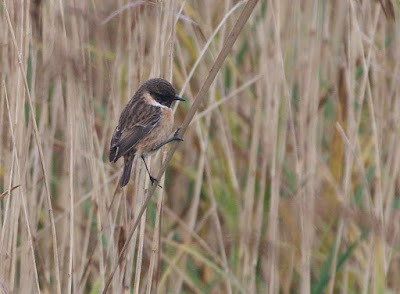 Very little to report (apart from the ubiquitous Buzzards and Marsh Harriers) until a delightful pair of Stonechats arrived right in front. 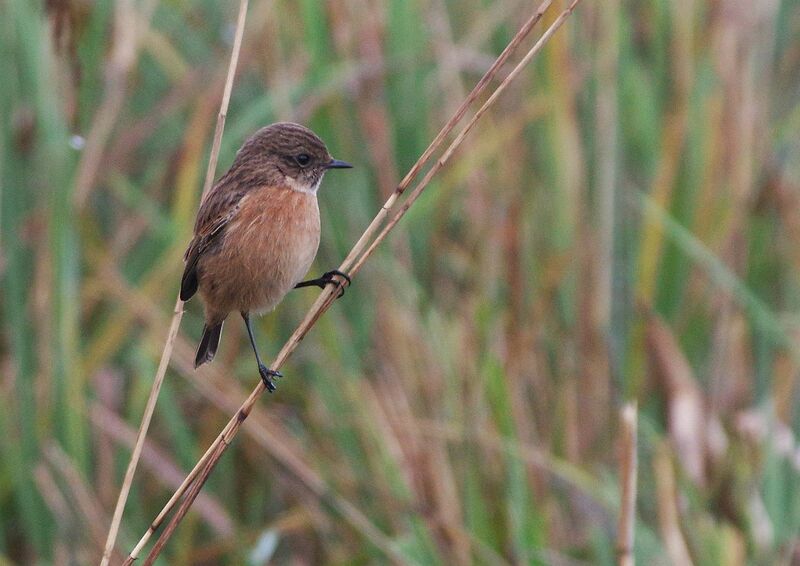 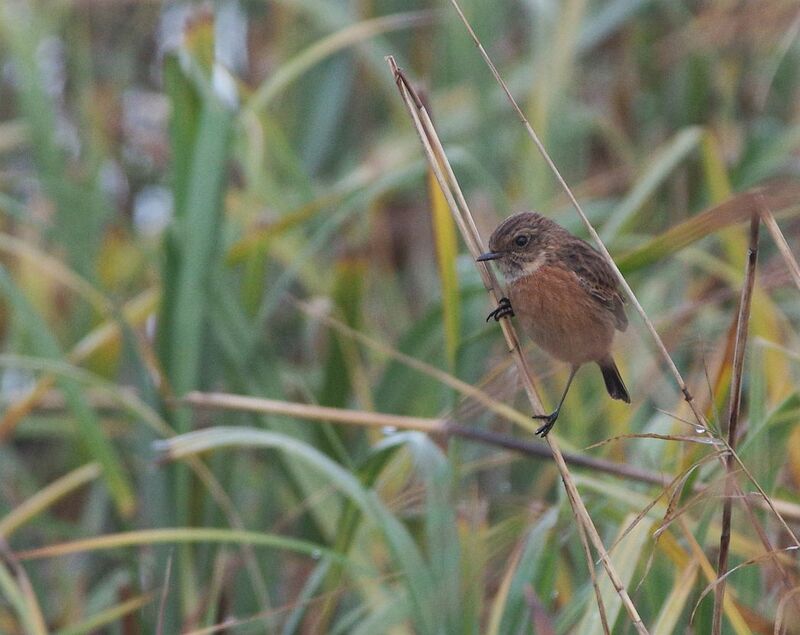 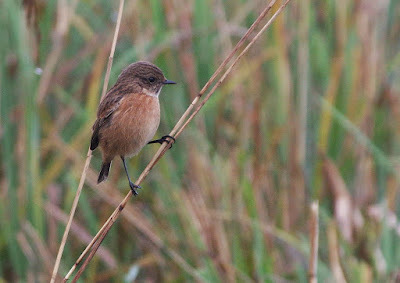 A Cetti's Warbler called from the scrub without revealing itself so, since it was growing quite chilly, we walked around the circuit, picking up a second pair of Stonechats along the river bank. 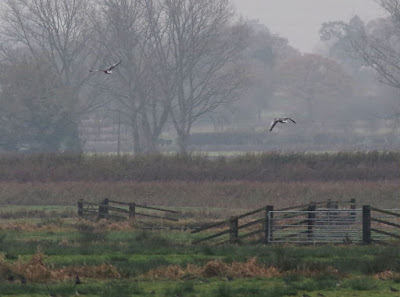 Leaving the other two 'Last Winers', I drove round to Buckenham (I would have walked, but it started to drizzle) From the platform I managed distant views of a couple of Bean Geese flying in to join a few more out on the marsh, while, by the crossing, some friendly (and well-known) birders kindly let me use their 'scope to look at a White-fronted Goose. Luckily we have installed wire mesh over the pond for the winter (mostly to keep leaves out!) 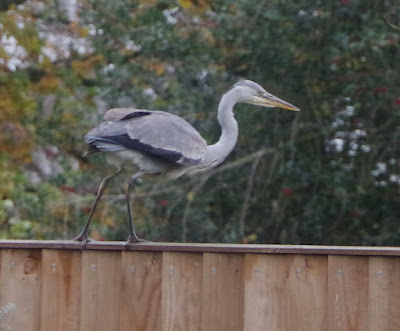 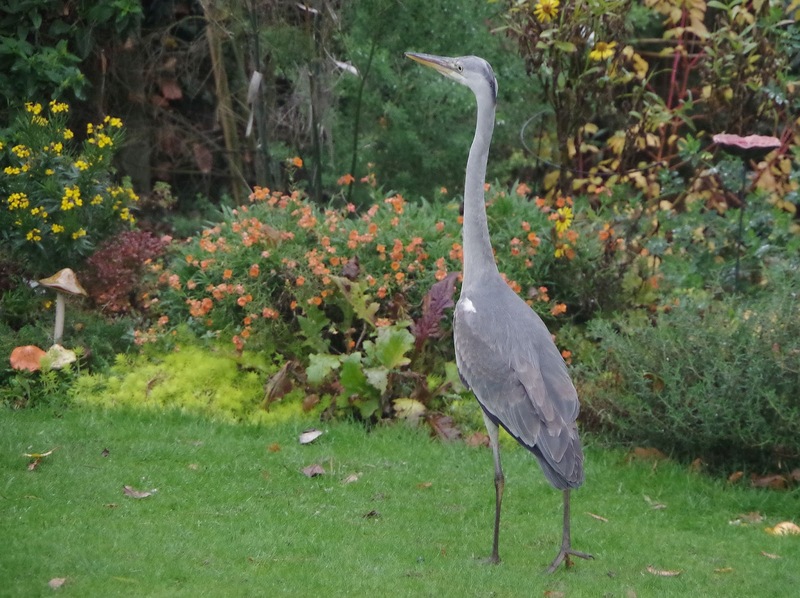 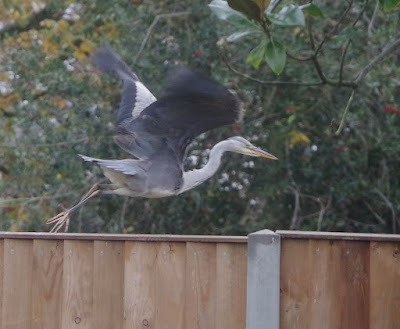 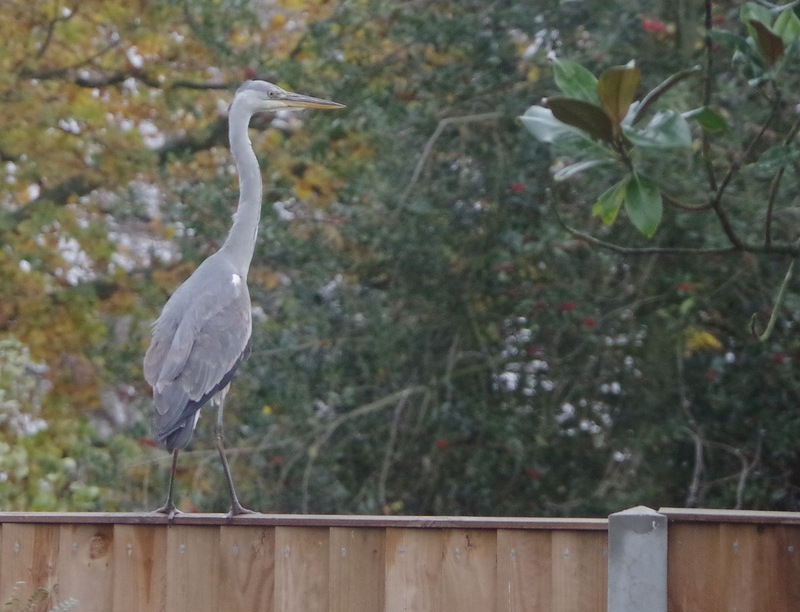 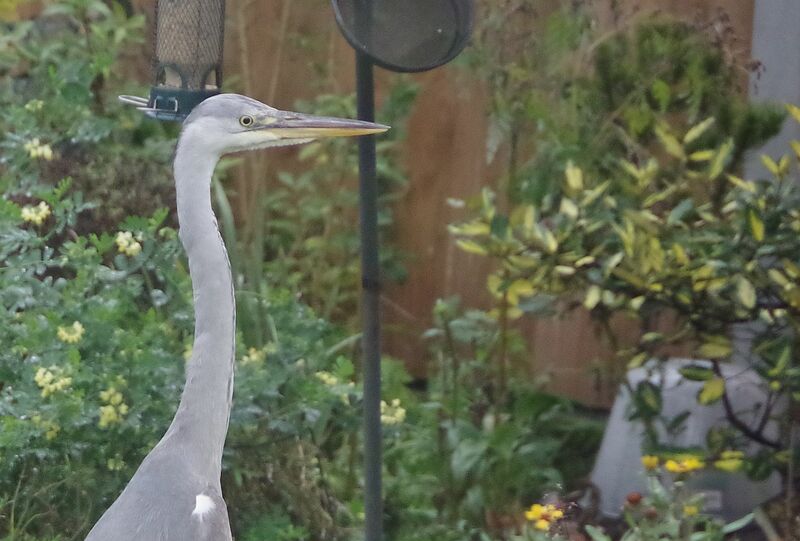 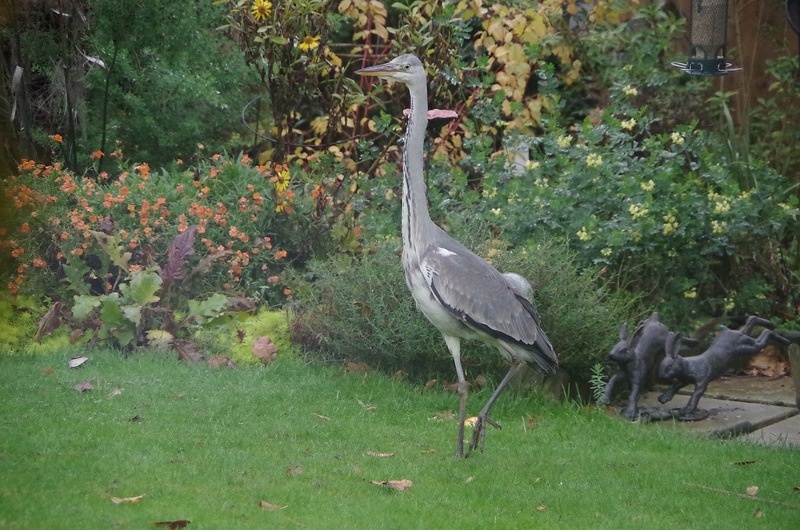 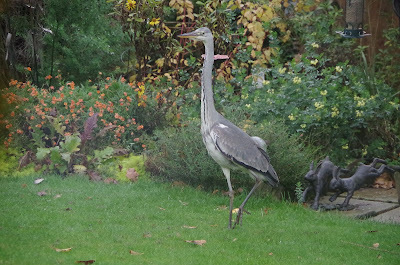 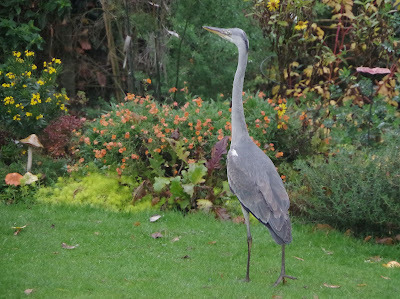 since today a Grey Heron came to size up the carp and orfe as potential lunch items! In the past (despite being some distance from the nearest pond or stream) we had our largest Koi eaten by an Otter: it's a tough existence for a pond fish! 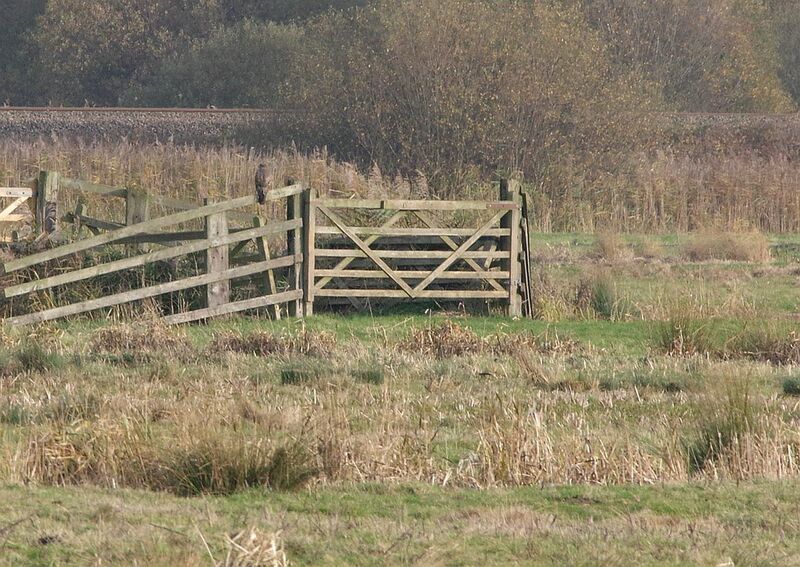 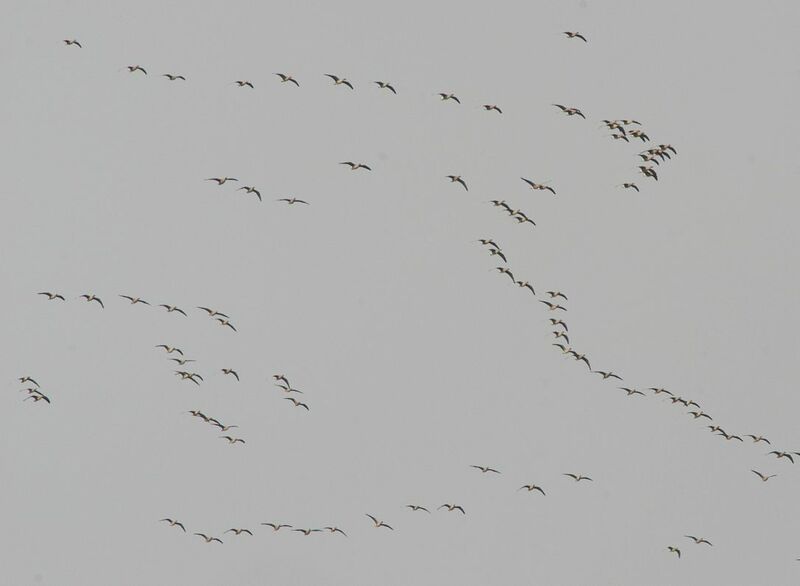 Buckenham Marshes: more geese than you can shake a stick at! 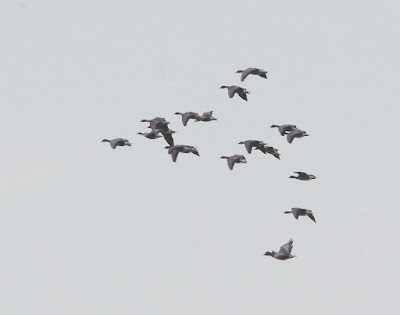 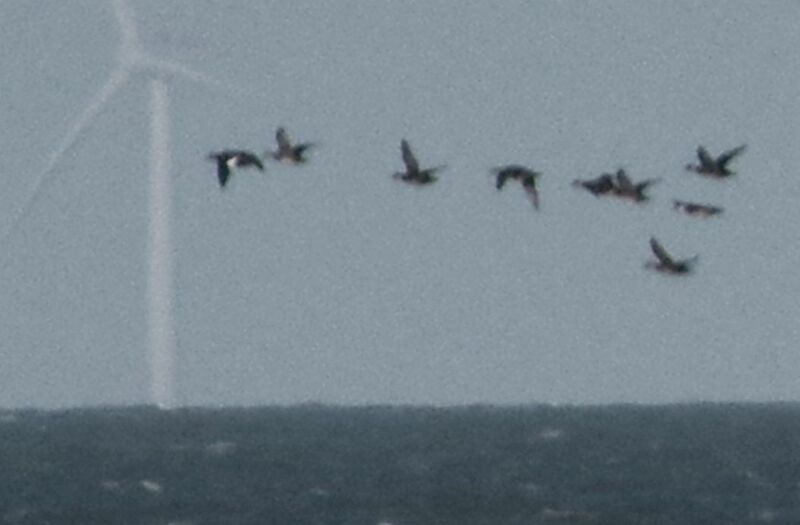 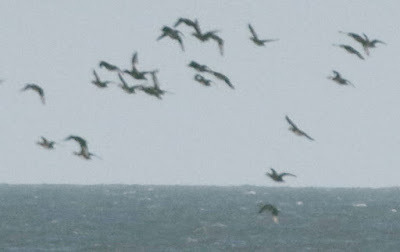 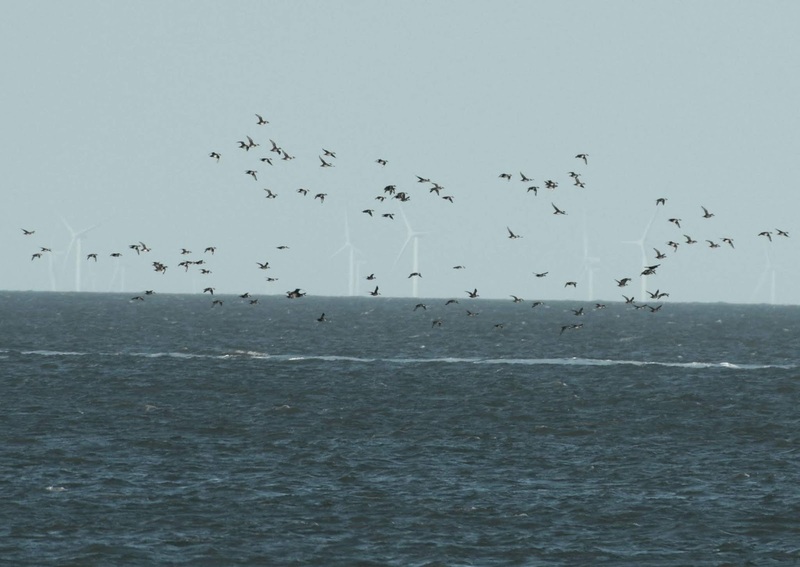 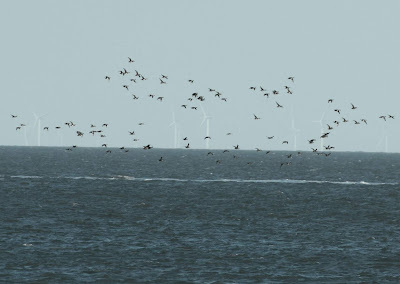 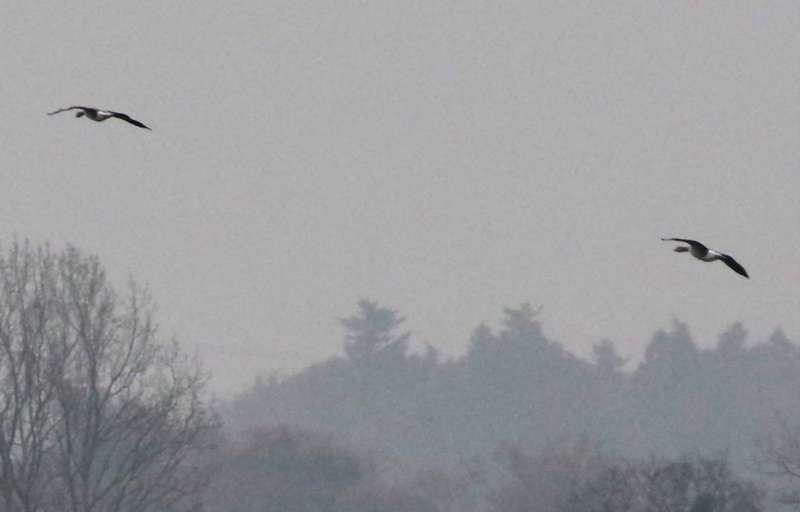 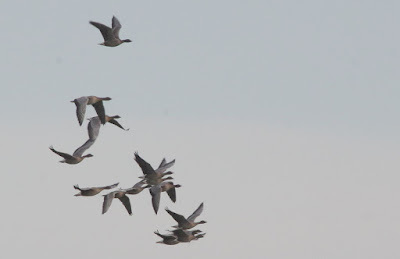 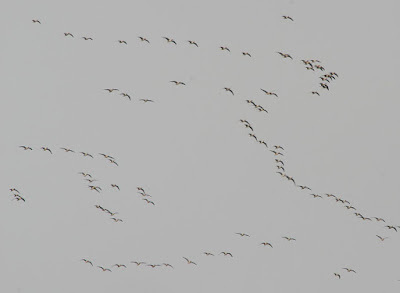 Nothing really unusual at Buckenham this morning, but literally thousands of Pink-footed Geese flew across heading eastwards: six large skeins passed through between 10.30 and 11.30. 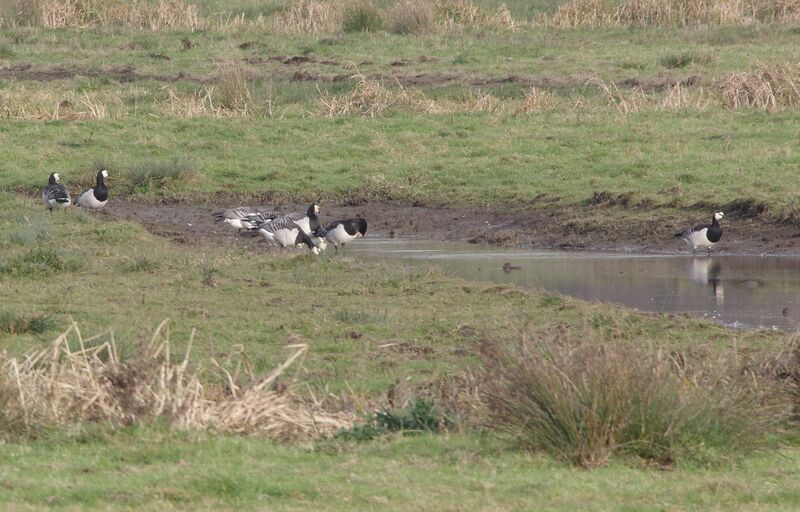 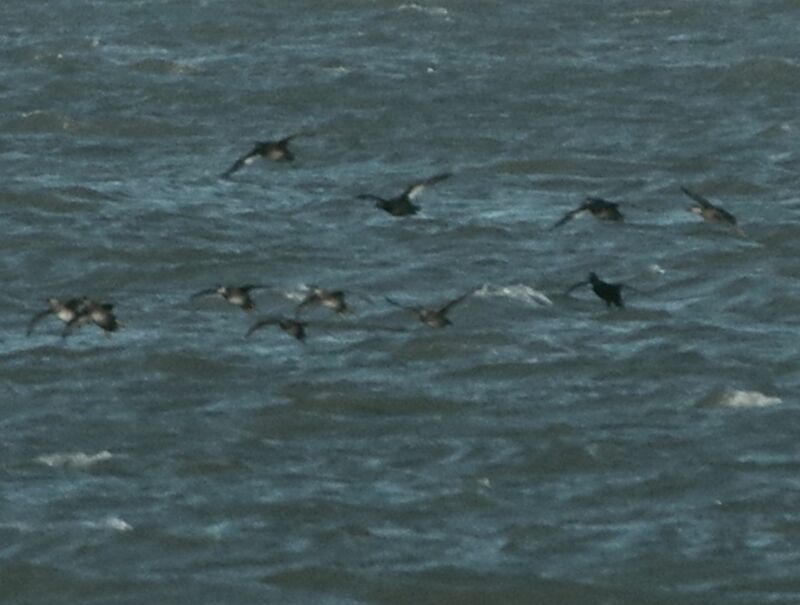 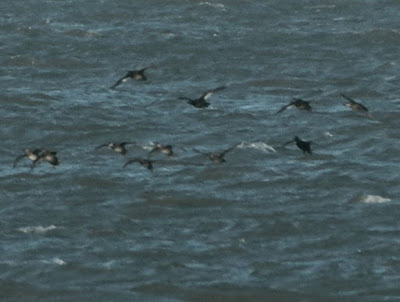 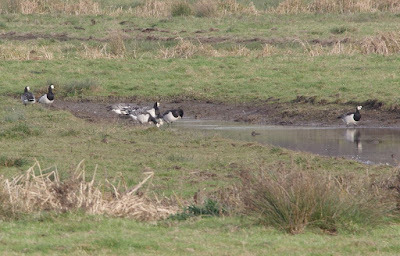 On the marshes there were plenty of other geese, but these were all feral species: Barnacles, Canadas and Greylags. 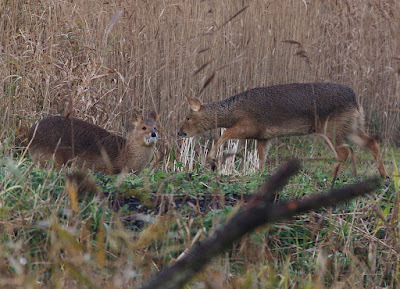 On the scrapes (!) 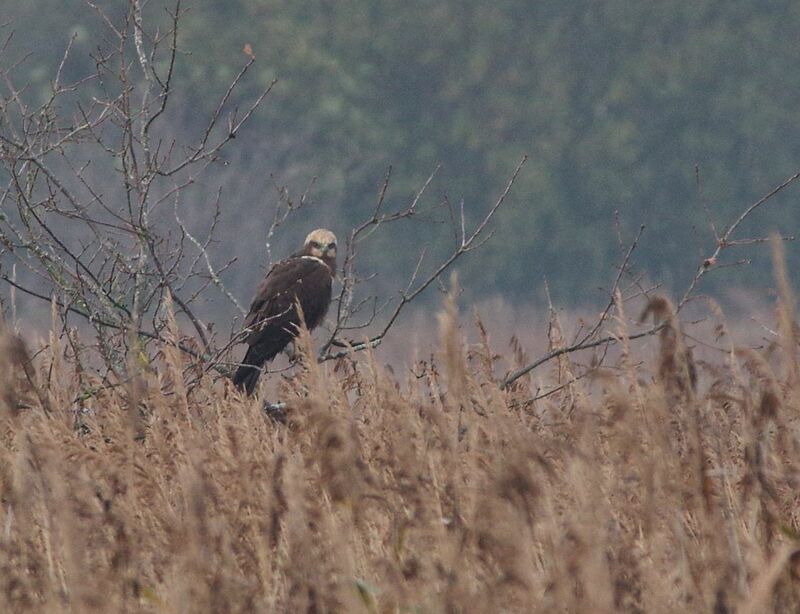 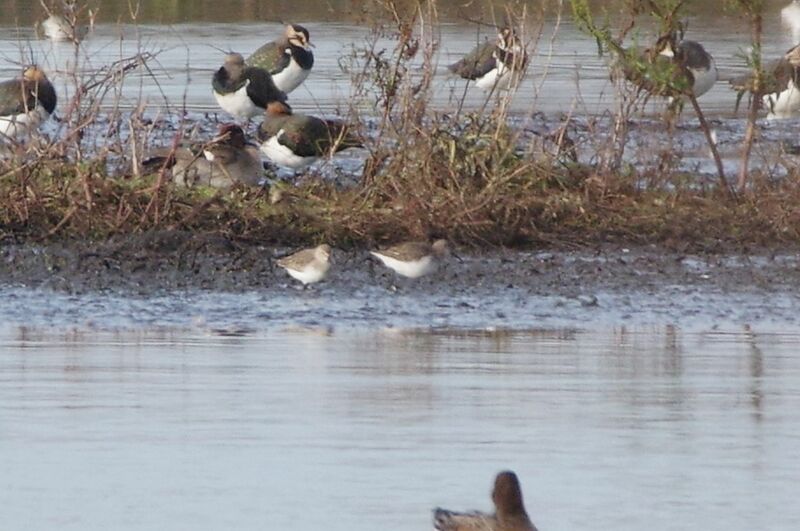 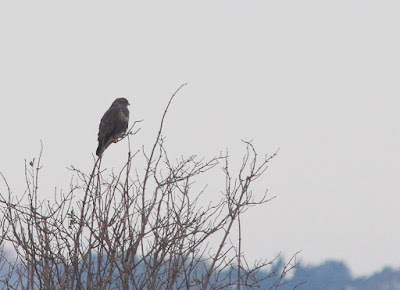 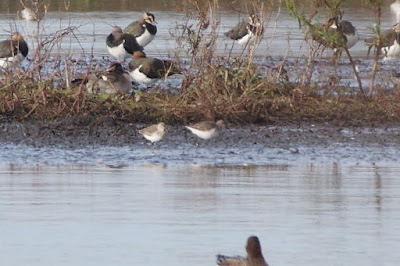 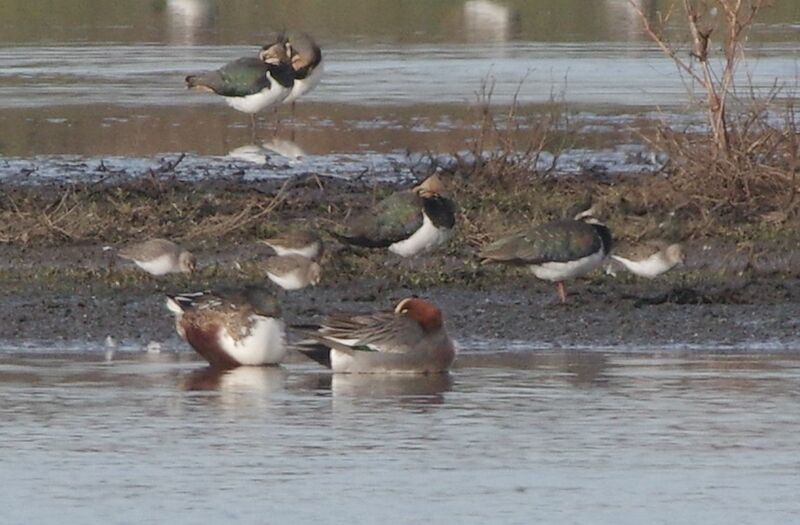 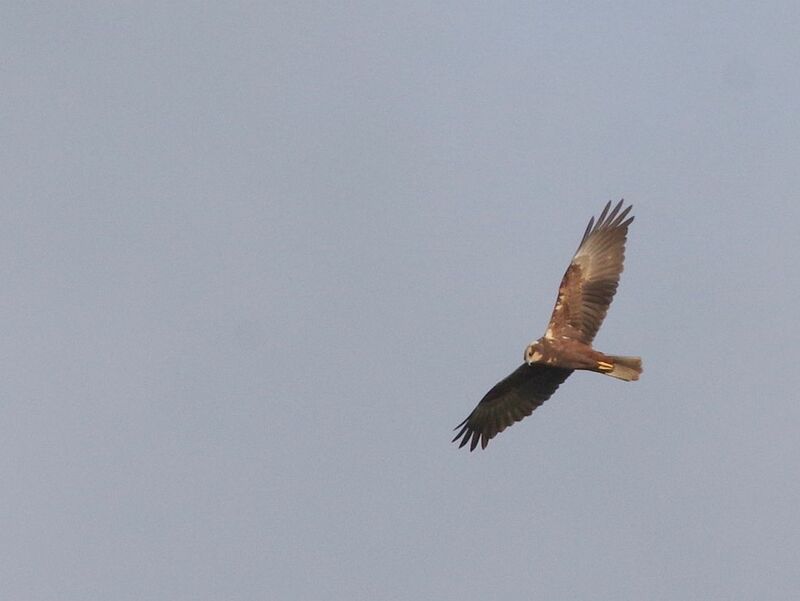 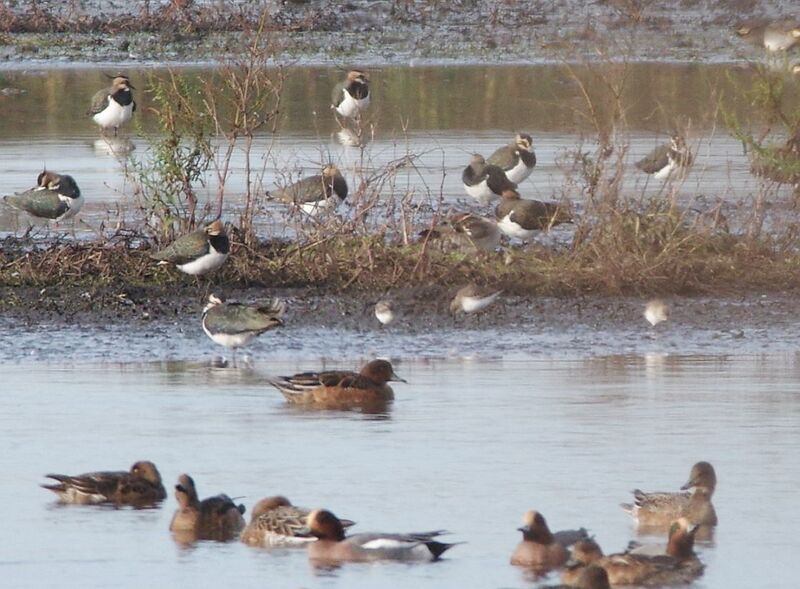 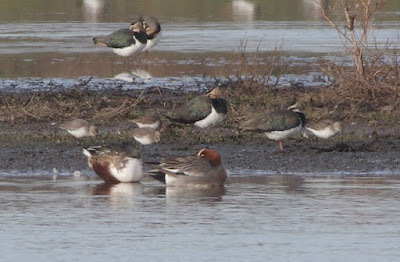 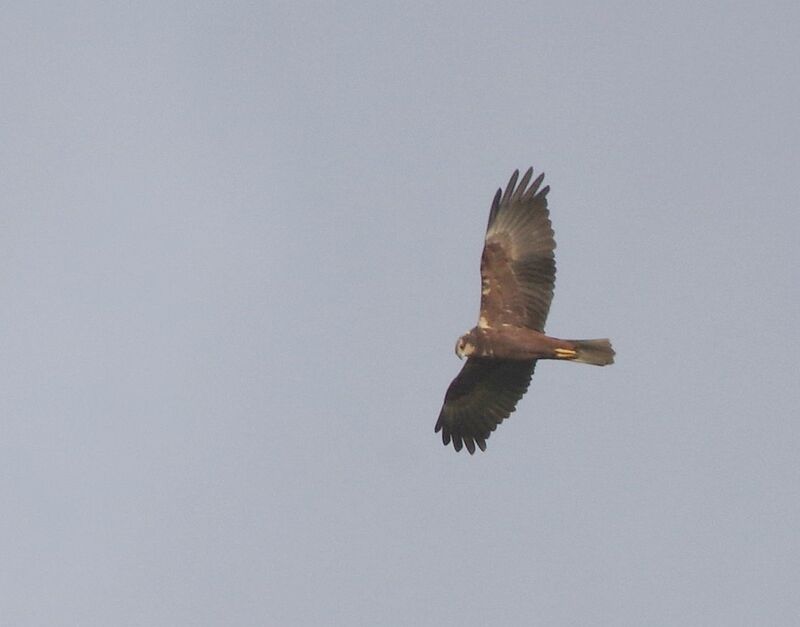 the hundreds of Wigeon and Lapwings were joined by five Dunlin and a Snipe, while I twice heard Cetti's Warblers - let's hope they survive this winter... Raptors were represented by a well-marked female Marsh Harrier and a couple of Buzzards.